We are all about savings without cutting corners. Our customers will be happy to know there are many ways to shave a few quid off an already low price, and we don’t mind – in fact we encourage it! Cost efficiency and good value for money is something we are very serious about, in light of this we have devised and implemented a number of ways to allow customers to reduce overall cost of their cleaning requirements and be left with money to spare. In our book that’s good news. 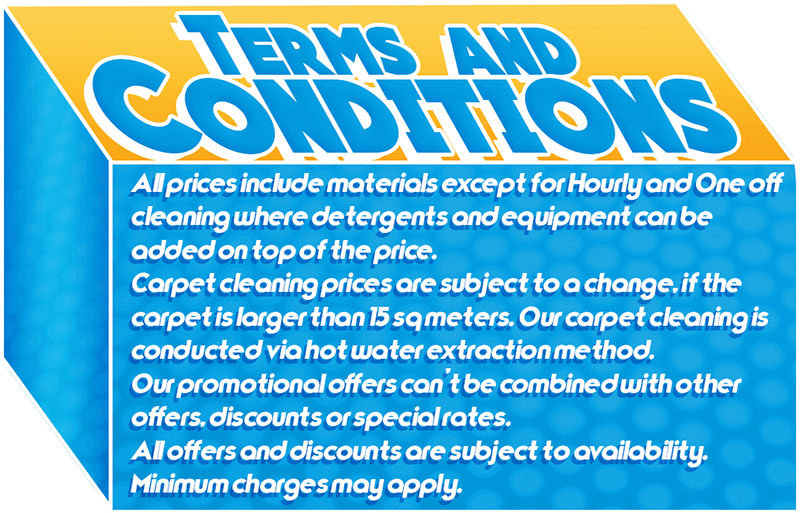 We offer a range of special deals applicable to some or all of our cleaning services. Some of our specials are permanent fixtures, available to private and business customers all year round. Others however are limited time only deals so be quick and grab a great deal on a service you are after. Besides these, we also run various weekly, monthly and seasonal specials. Unless otherwise stated, a special deal applies only to a respective service or number of services. Cleaning packages or bundles as they are also known are simply combinations of one, two or more services. These so called bundles or packages are an excellent way to get a lot of cleaning for a very reasonable amount of money. Cleaning packages offer very good value for money and much more convenience. The type and number of cleaning services in the package depends entirely on customer requirements and preferences. Preferential pricing is basically a special or one off discount made available to customers whose service requirements match certain criteria. These discounted prices are open and available to all private and business clients, no exceptions as long as the scale of the service falls within our pre-set frames. Customers using a regular service from us can also take advantage of preferential pricing – this usually depends on the frequency and duration of their service appointments.